Help on using the forum. 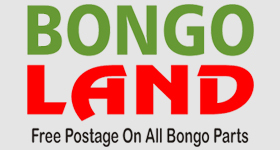 Images are not hosted on the Bongo Fury server. Instead, in common with most other message boards and forums, images are displayed using a link to an externally hosted image. These instructions assume you are using a PC or laptop, and are using a photo sharing service called Imgur. Instructions for uploading images from phones or tablets will not be radically different. We have chosen Imgur because it is free (unlike Photobucket) and allows quick resizing of images. Other imaging hosts are available, but not all of them allow third party links. The following size limits apply to images on the Bongo Fury Forum. Width = 800 pixels. Height = 600 pixels. File size 100 kbs. The "industry standard" for dimensions on message boards is 640 x 480. 2. When logged in, just beneath your username at top right of screen, from the drop down menu select "Images". 4. From your PC/tablet/device browse to the file you wish to upload. 5. Once uploaded you will need to resize your image. There are various ways of doing this, but this is the easiest. 6. Click on the thumbnail of the image you want to upload. This will display a full size image. 7. Roll mouse over the image and you will see the option to "Edit Image" (bottom right of picture). 8. Top right you will see current image dimensions (above where it says "Lock Proportions"). 9. Overwrite the existing width with "640". The height we automatically resize itself. 10. Save the image and then return to your library screen. 11. Now click on the thumbnail of your image and you will get the larger image again. On the right will be displayed various links. 12. Where it says BBCode (message boards and forums) click on "Copy". 13. This will generate the link to use in your Forum posting. 14. Now go to the Bongo Fury Forum, select a new topic 9or replay to existing topic). 15. Paste the link in to your discussion. Using this method you do not need to use the img/img function that is built in the Forum as it will generate the code automatically. Confucious once said " To be fluent in Bongolese is to hold the key to the world!"